Holiday cocktail parties can make sticking to your diet challenging. Even if you’re able to say no, just a few of those sweet, sugary concoctions being passed about the party can derail your best-laid nutrition plans. Case in point: Sipping just one cosmo martini at a holiday event will set you back 213 calories. To burn off that indulgence, you would need to do a 24-minute jog. What about that cup of homemade eggnog? Not so fast: It contains 344 calories, 19 grams of fat and a whopping 21.4 grams of sugar. Celebrating the holidays and the New Year could sabotage your 2017 health goals before it even begins. For most of us, completely abstaining from alcohol during the holiday season simply isn’t realistic. Fortunately, there are plenty of healthier ways to raise your glass for a toast. Warm, aromatic cocktails like spiked hot chocolate and hot buttered rum are lovely holiday treats, but they aren’t so kind to your waistline. If the cold weather has you pining for a warming cocktail, try one of these festive alternatives. 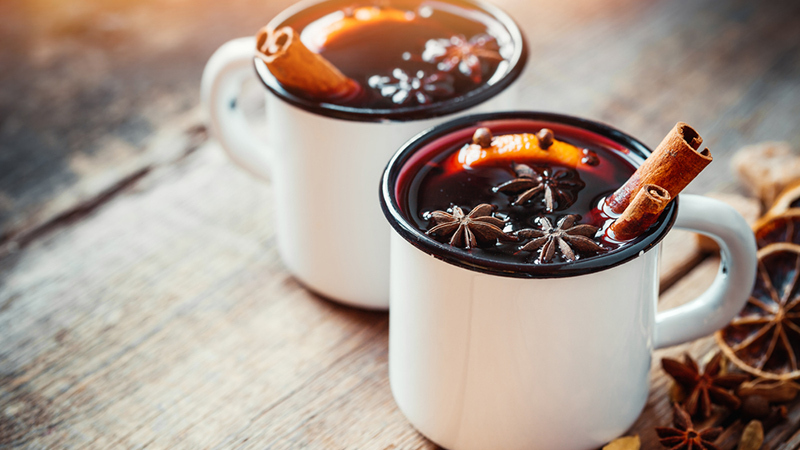 Mulled Wine is a wonderful choice for health-conscious holiday revellers. In addition to having a modest calorie count, this drink also delivers some valuable micronutrients. Most of the ingredients like citrus juice, spices and red wine contain health-promoting antioxidants. Moroccan Etiquette is a wonderfully warming cocktail made from mint tea and vodka. The refreshing flavor of the mint tea makes this an ideal after-dinner drink. And since it’s sweetened to taste by brown sugar syrup, you avoid overdoing it with the sugar. This Spiced Holiday Eggnog Recipe is actually sugar-free! The recipe uses naturally sweet stevia to maintain the traditional flavor without adding sugar and empty calories. You can lighten up this creamy concoction even more by swapping out some of the heavy cream for regular milk. Serve it warm. The classic winter cocktail, the hot toddy, will leave you feeling warm and satisfied. This recipe for a Healthy Hot Toddy is made with cinnamon, which has blood-sugar regulating compounds in it. In the mood for something cool and tasty? Try one of these inventive, yet diet-friendly festive martinis. 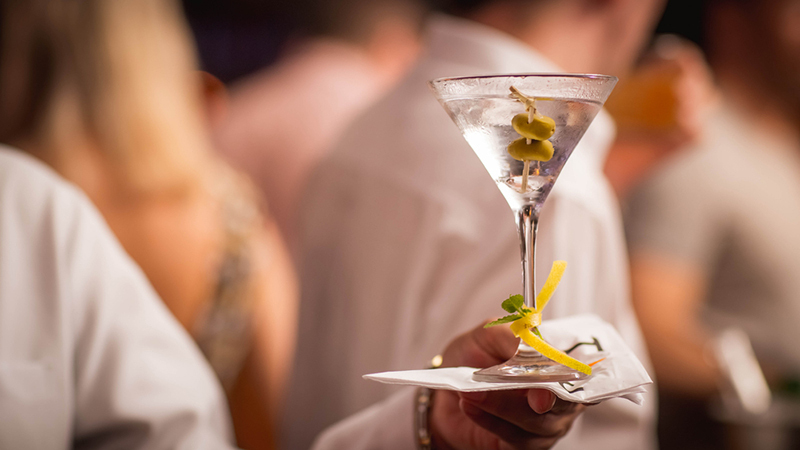 The strong flavour of a martini will encourage you to savor each sip rather than gulping down the calories. Nutritionist Cynthia Sass’s Pomegranate-Rosemary Martini has a wonderful holiday red hue and an even better taste. 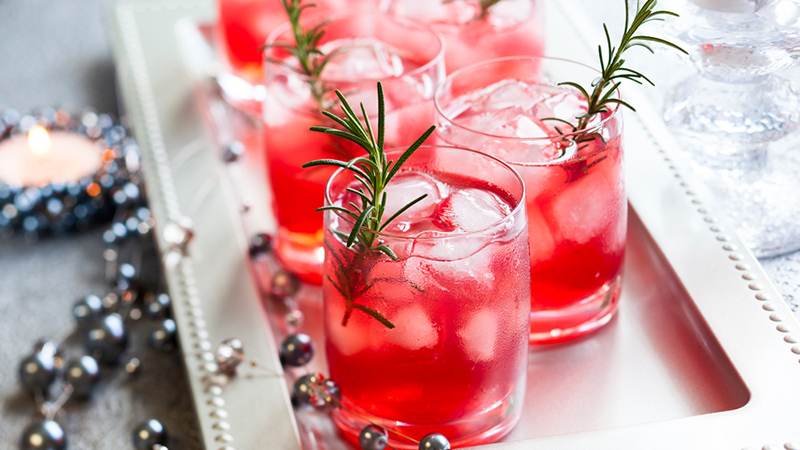 This cocktail has the added bonus of having two antioxidant-rich ingredients: pomegranate seeds and rosemary. If you enjoy the sensation of spicy seasoning, the Inferno Martini is right up your alley! The peppers in this fiery drink contain capsaicin, a phytochemical that has anti-inflammatory properties. The Ginger Saketini is bursting with a bold ginger taste for just 147 calories. To lighten up this exotic cocktail, use diet ginger ale. If you tend to keep your bar order traditional, there are several ways you can enjoy your favorite mixed drink without slipping on unwanted calories and sugars. Instead of using high sugar cola or artificially flavored diet soda, mix your favorite rum with Zevia Cola. Zevia Cola is a calorie-free cola that is sweetened by the all-natural stevia plant. A can of tonic water has 32 grams of sugar and 124 calories. The next time your drink calls for tonic, try using calorie-free soda water and squeeze in fresh lime. Many bars make their drinks from artificial juice blends that contain sugars and concentrates. While opting for natural juice may not spare many calories, at least you won’t be sipping on processed sugar! Adding a generous splash of water to your drink will extend its sipping time without adding calories. Just one ounce of sour mix has 28 calories and 7 grams of sugar. To satisfy your craving for sour, ask the bartender for several wedges of lemon and lime instead. Make those simple adjustments to your cocktail recipes and practice moderation so you can have a low-guilt holiday season.